Social scientists define seven separate but interconnected dimensions that comprise the state known as Wellness. The first of the seven dimensions is Environmental Wellness. The physical environment can either assist or obstruct individuals as they attempt to make healthier lifestyle choices. This set of conditions includes both the built environment—buildings, exercise facilities (or lack thereof), sidewalks, etc.—as well as the surrounding circumstances and terrain. Not every business can afford to move to a different location or knock down walls in order to provide its employees with better opportunities for increased physical activity. Not every organization can provide full food service that makes healthy choices readily available to its members on a daily basis. We assist companies in a wide variety of settings by first meeting them where they currently are, both physically and fiscally, before providing a healthy path forward that makes sense for each one's particular organizational culture. Financial Wellness is an individual or organization's ability to control its bottom line. According to the Centers for Disease Control and Prevention, worksite wellness “helps employees take responsibility for lifestyle choices; educates workforce about hazards and opportunities for wellness; enhances employee productivity; reduces absences and idleness; reduces health care costs; [and] shifts health care paradigm from treatment to prevention.” Through monthly contracts, Foundation Wellness, LLC takes responsibility for the exercise and nutrition portion of a comprehensive worksite wellness plan. We map out a strategy based on the organization's particular set of circumstances and shepherd through a vision that is more productive and fiscally sustainable. And if you are a large company and/or already have wellness options in place, we serve as the motivational piece that actually gets the majority of your employees up and moving. There is no shortage of mechanisms in the marketplace for accountability and for incentivizing healthier living. But your program is only as good as its participation rate. And this is what Foundation Wellness, LLC sets out to improve. Physical Wellness influences the way a person feels and thinks. It gives one energy and makes one more able to take on progressively tougher challenges. 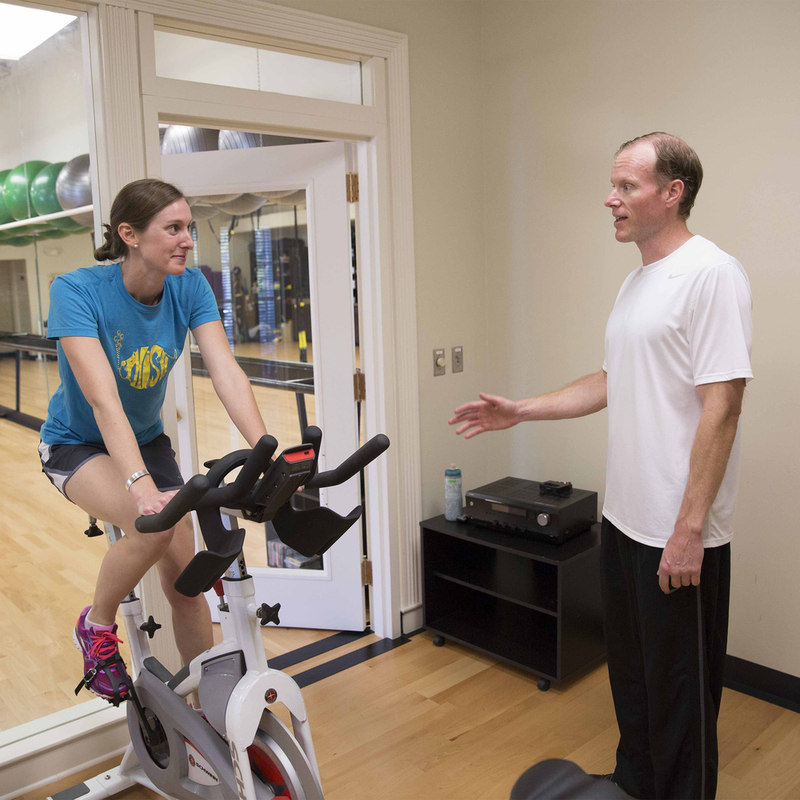 We help individuals and organizations focus on the health-related components of fitness—cardiorespiratory, muscular strength and endurance, flexibility, and body composition—so that they can experience better mood and improved energy. These are things that translate to better performance in a variety of areas, including the workplace. Individuals decrease their overall risk of disease and injury when they take care of themselves through physical exercise. It is usually more fun to work and play with others than it is to do so alone. Children know this intuitively. And adults know the benefits of team building as it pertains to workplace and other organizational pursuits. At Foundation Wellness, LLC, we tap into our social nature whenever possible to improve performance and achieve better results through personal training, health coaching, and nutritional counseling. When properly applied, these are approaches that both the most introverted and extroverted among us respond well to. It is one that respects the individual as it harnesses the power of our social side. At Foundation Wellness, LCC, we embody Intellectual Wellness by basing all our programs and strategies on empirical evidence from studies regarding what is and is not effective in worksite wellness. For example, we advocate for point-of-decision prompts (e.g., signage encouraging employees to take the stairs rather than the elevator) because multiple peer-reviewed studies have shown that they are effective. We also know through the body of research that injury risk from all causes is lower for those who exercise, as is risk for chronic (and expensive) diseases such as diabetes, heart disease, and certain cancers. Nothing included in your monthly contract is filler or fluff; it is all research based. However, nothing we do is automatic or cookie cutter, either. We take tools that work and use them in a way that works for you! Employees should see an increase in their personal Intellectual Wellness, as well, through participation in a regular exercise program . It is well documented that the brain functions better with exercise. Exercise increases levels of helpful neurotransmitters in the brain, elevating mood and decreasing the risk of anxiety and depression. Regular physical activity can improve self-confidence and self-esteem. And healthy eating increases energy and positions one optimally to participate in daily physical activity. Exercise and nutrition work hand-in-hand to make one a more emotionally centered and energetic individual. Consequently, one's interactions with others typically improve and the overall atmosphere of the workplace benefits. Meditation, yoga, Pilates, Tai Chi...So-called mind-body exercise contains myriad benefits for both avid exercisers and for individuals who just want to decompress after enduring the stresses of daily life. Sometimes a moderate dose of cardio followed by a balanced stretch routine can be all it takes to make the world start seeming a little better. Regular exercise and good nutrition lay a foundation for better energy and attitude and more focus on the positive aspects of life. Irrespective of your preferred exercise type, getting up and moving on a regular basis can be the catalyst of much more than just breaking a good sweat for its own sake. Paradoxically, when you take better care of yourself, you are more likely to reach out and try to help and connect with others, as well. Healthier living through exercise and a balanced diet only assists in the very human need to find meaning and purpose in our daily lives.